Vidyo has seemingly been on a roll lately: The startup got a lot of attention last week for its Vidyo Panorama product, which gives enterprises a cheaper way to offer video conferencing without having to install huge and expensive telepresence rooms. But its enterprise-facing offering is only one part of the story: With a set of APIs for unified communications and multiplatform video chat, Vidyo is also enabling third parties to build their own video conferencing applications. The white labeling of Vidyo’s technology is nothing new: after all, it provides the secret sauce behind Google’s video chat service (s goog). And it’s working with other companies, like Ricoh, to extend its unified communications reach beyond just its own hardware-based solutions. It also powers the recently announced FuzeBox telepresence solution, which seeks to create interoperability between different video conferencing vendors and platforms. Vidyo hopes to go even further in the near future, by enabling its customers and partners to build third-party apps based on its technology, which can then be shared and implemented by others. In a phone conversation, Vidyo CMO Ashish Gupta said the startup was working on an application portal program that would enable white label service providers to develop and reuse code created by other service providers. Because Vidyo’s technology is cloud-based and works with multiple platforms, it gives partners flexibility to more easily reach users on devices that they otherwise would have had to otherwise spend expensive resources developing for. While several Vidyo customers fall under the traditional telepresence customer bracket, several more are service providers that have built Vidyo-enabled conferencing services on top of their legacy business. This is especially true in vertical industries like healthcare or finance, where partners are creating consumer-facing applications based on the Vidyo technology. Take, for example, the case of a service provider in the Nordic states, which has built a video chat app for seniors that has a simple one-touch remote to initiate chats. Or a partner in the financial services field that has built an application to enable its clients to video chat with questions if they need to. Right now, these are one-off opportunities. But by creating an app exchange, Vidyo can leverage existing code to make it easier for partners to build these types of business-to-business-to-consumer (B2B2C) applications. Partners get an easy on-ramp to build new services, and Vidyo gets a transparent way to sell more licenses. While service providers ultimately handle all the billing and operations for any platforms they build on Vidyo technology, the startup gets a license fee for any end users actually conferencing on apps enabled by it. In that way, Vidyo hopes to leverage the network effect of making its technology more widely available. 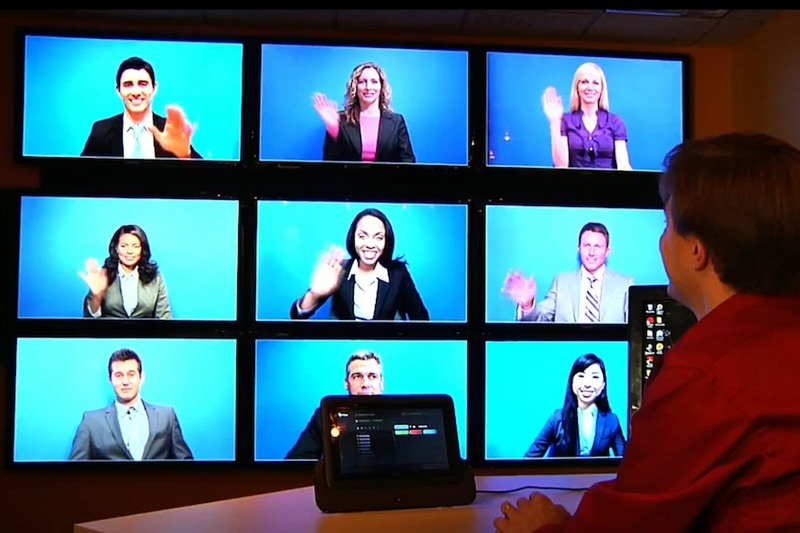 “If ten people use a Vidyo service, and they connect to ten people, then we’ve gained 100 users,” Gupta said. Vidyo has raised a total of $73.5 million since being founded in 2005. That includes a $25 million financing round last spring led by Four Rivers Group and including Menlo Ventures, Rho Ventures, Sevin Rosen Funds and Star Ventures, as well as an $11.5 million round raised earlier this year.